A growing body of evidence shows that human beings (especially young people) are spending significantly less time outdoors than previous generations and are suffering as a result. Studies are finding that outdoor play positively affects a person's cognitive, emotional and physical health, it also develops their resistance to negative stresses and depression. So why is this disconnect happening? How does nature effect us when we get exposure and when we don't? And what can you do to help reverse this trend? Improvements in technology which mean we have more 'screen time' than 'green time'. The results of this disconnect with nature are found to be increases in behavioural problems, obesity, ADD (Attention Deficit Disorder), depression, Vitamin D deficiency, and potentially Myopia (short-sightedness). These are the findings across many different research studies conducted between the early 2000s up until recent times, here in Australia and around the world. How does direct contact with nature benefit us? Improved motor coordination and increased ability to concentrate. Greenery (such as trees & grass) in our everyday environment reduces ADD symptoms. While outdoors, a child is more likely to encounter opportunities for decision-making that stimulate problem solving and creative thinking. An opportunity to learn vital social skills such as turn-taking, sharing, negotiation, and leadership. The ability to improve emotional well-being, including minimising anxiety, aggression and sleep problems. 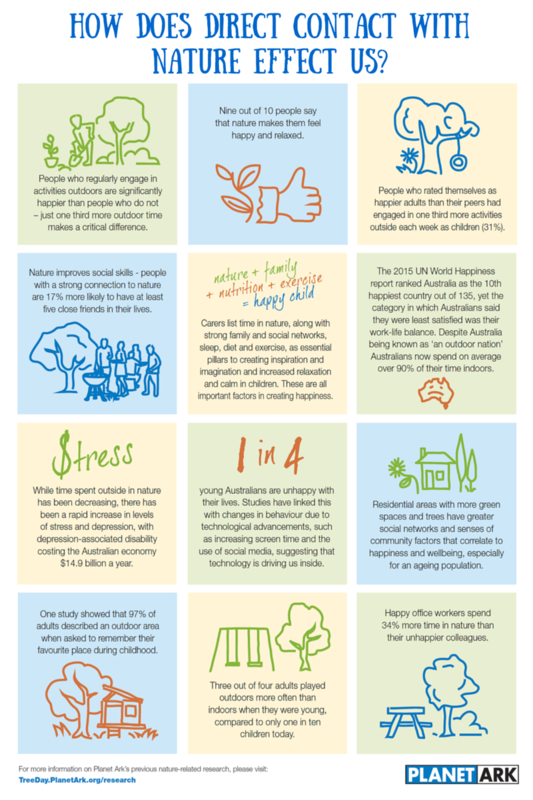 The below statistics are directly from the Planet Ark research report called "Needing Trees - The Nature of Happiness" of which uses data collected from right here in Sydney, NSW. Please click the image below for a PDF printable copy. Why does contact with nature make us happier? Spending time in nature has the ability to influence a person's happiness because it has direct effects on the brain and hormone secretion. Viewing nature activates areas of the brain linked with dopamine reward system, triggering happiness-induced recall and feelings of wellness, whereas viewing urban scenes activates areas of the brain associated with anxiety, fear and unpleasantness. Viewing natural environments produces more alpha wave activity compared to viewing urban environments - brain activity that has been shown to be greater in creative individuals. Nature reduces the body's response to stress, with cortical secretion and irregularity decreasing with the more green space a person is exposed to. The biophilia hypothesis states that because of our origina we are innately connected to nature, with activities that enhance our engagements with the natural world receiving neurological and biochemical positive feedback. Exposing children to environments that reduce stress and increase well being has long-term effects on the structure of the brain and happiness later in life. Changes in technology, including easier, faster and personalised access to television Internet and computer games is contributing to changes in behaviour, with research showing these activities activate areas of the brain linked with addiction. What can you do to reverse this disconnect with nature? Get back to nature by incorporating outdoor and unstructured play into your daily life, especially if you are a parent or role model for young people. It could be by growing a veggie garden, getting involved with a local bush regeneration group, walking through a local bush track, drinking a cuppa outside, playing backyard cricket or going to your local park to have a picnic and kick a ball. Reduce 'screen time' and convert to 'green time' and you will notice straight away the difference in your well-being. Surveys have shown it is increasingly common for parents to keep their kids inside due to concerns with crime, safety and injury which can be associated with the outdoor environment and the activities done in natural settings. Research has found that doing so can have the opposite effect, preventing a child from experiencing nature has been found to have negative effects on their ability to problem solve and make decisions which are processes involved in calculating risk and knowing their limitations. If you are concerned with safety you can conduct your outdoor experiences with trained outdoor providers to ease you into your preferred outdoor activity until you feel comfortable doing it yourself (e.g. 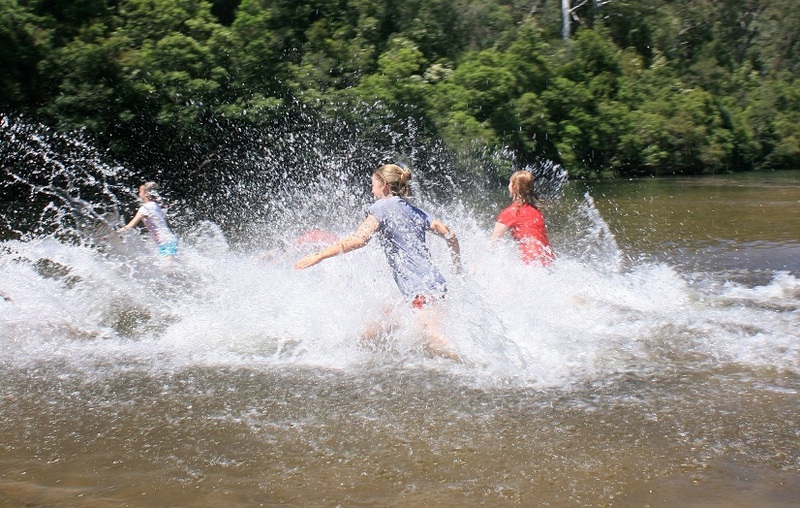 bushwalking, kayaking, surfing, cycling and other outdoor activities) - do your research on your chosen provider to reduce your concerns (see our article on "How to Choose An Outdoor Provider" for some helpful tips). If you are a parent or teacher and are not keen to get outdoors yourself but do not want your child/students to miss out on valuable opportunities, try to associate positive emotions with any opportunities your child/students have to get outdoors so they do not develop a disconnect with nature through association with negative emotions. Inspire curiosity by being curious yourself. 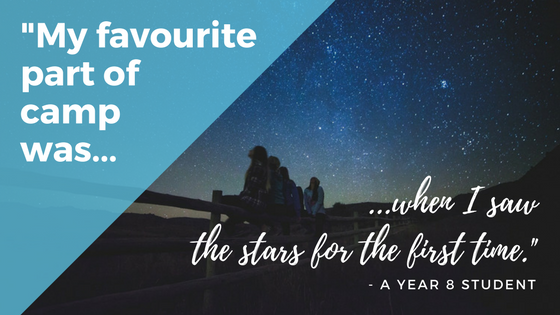 Go visit your local national park, walk on the rocks at the beach and see what creatures you can find in the rockpools, or look up at the stars in an open field away from the bright city lights and loud noises. Go to these natural places, sit still, in silence and just watch as nature comes to life! Encouraging and enrolling young people of 15 years plus to get involved in the Duke of Edinburgh Award Scheme is a great way for them to be social and learn from experienced outdoor leaders how to manage risk in natural settings. It also exposes them directly to the positive impact nature can have on them. This will hopefully keep them coming back for more! With special thanks to Planet Ark, Richard Louv and all the other individuals and organisations doing valuable research into the importance of human beings having direct contact with nature.